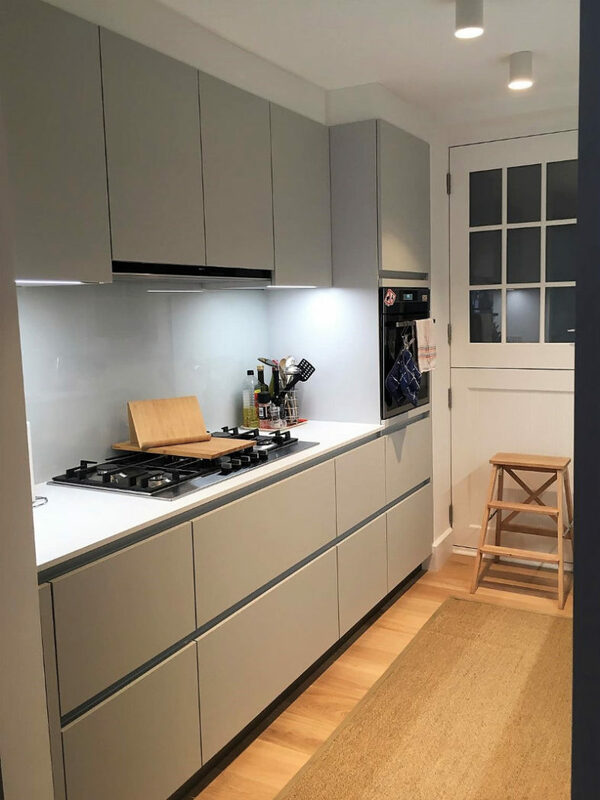 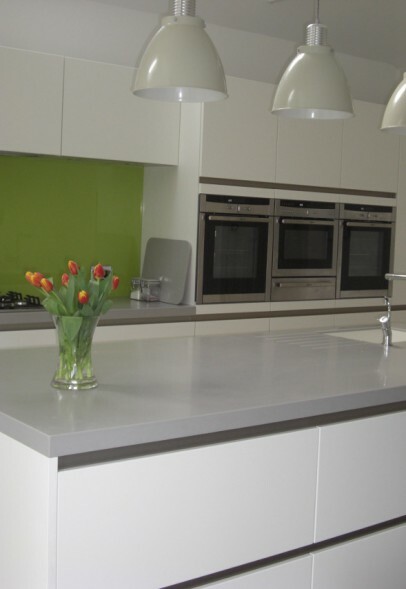 Brilliant white matt lacquer finish units from our Next125 range. 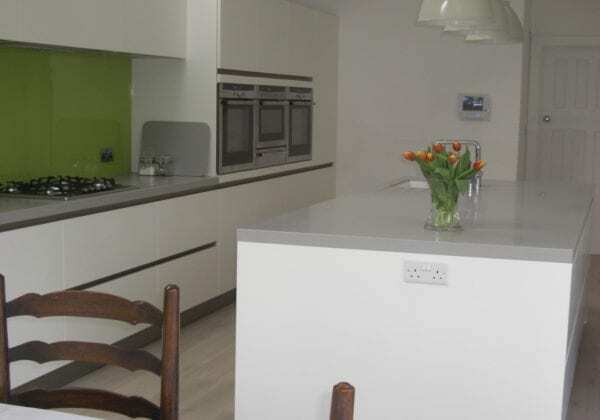 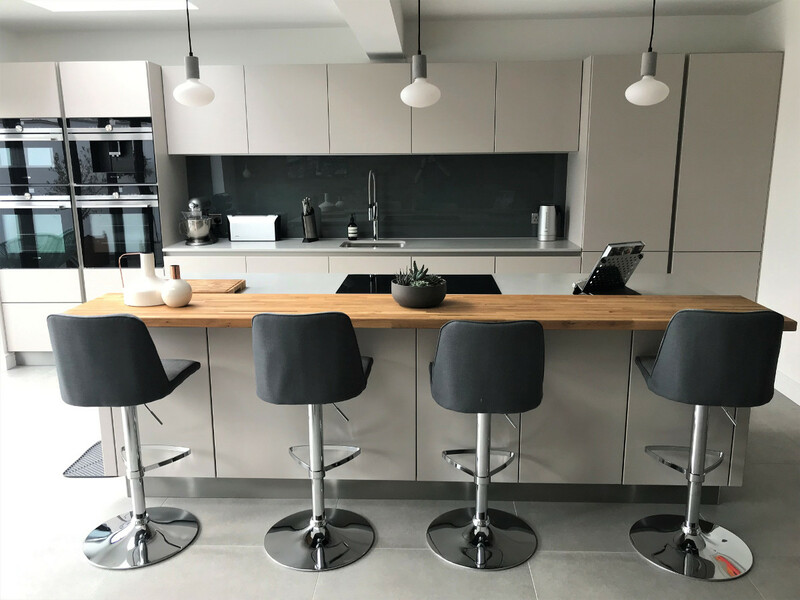 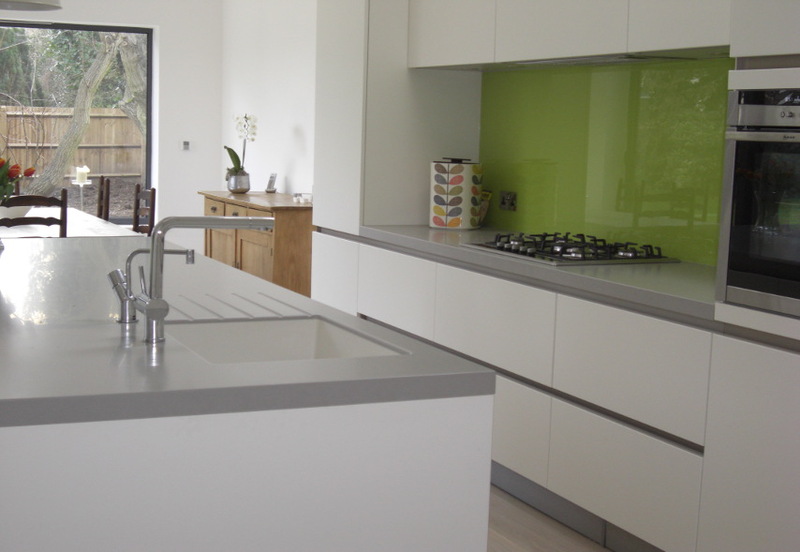 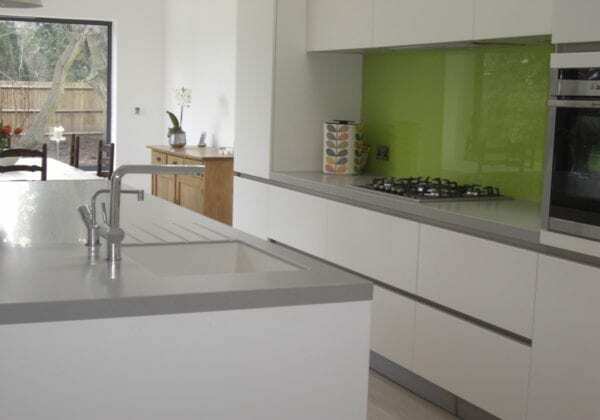 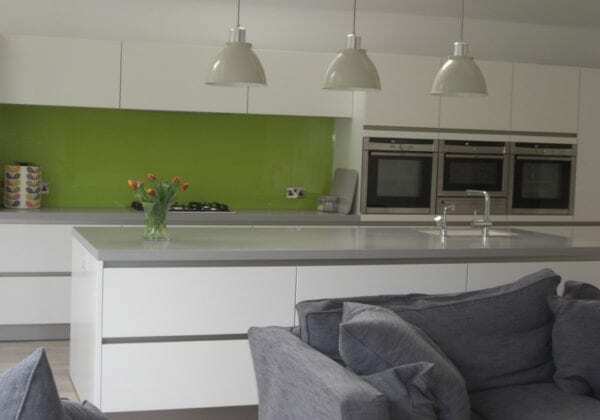 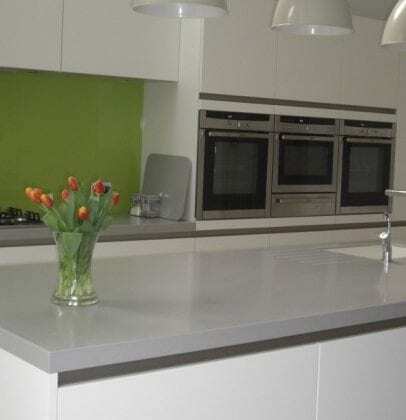 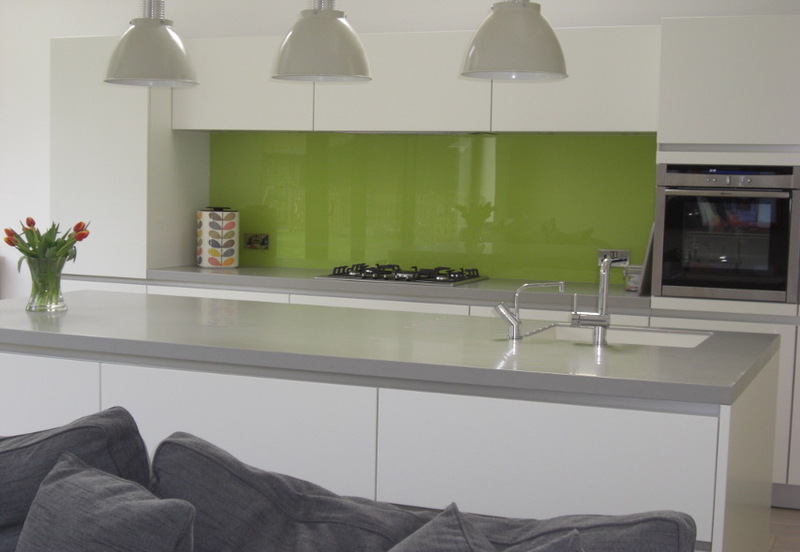 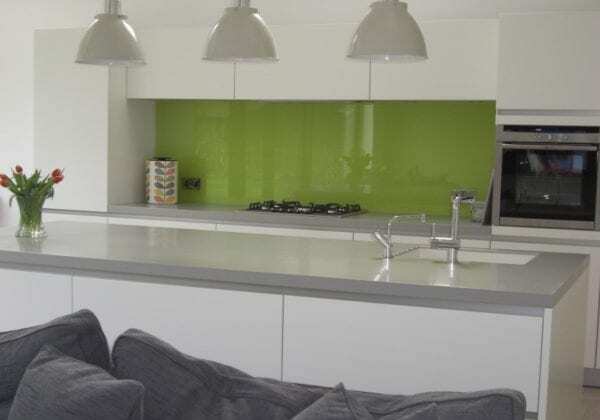 The Corian grey worktops feature a moulded sink and are 38mm thick. Notice the in-line design of the two single ovens, warming drawer and microwave. 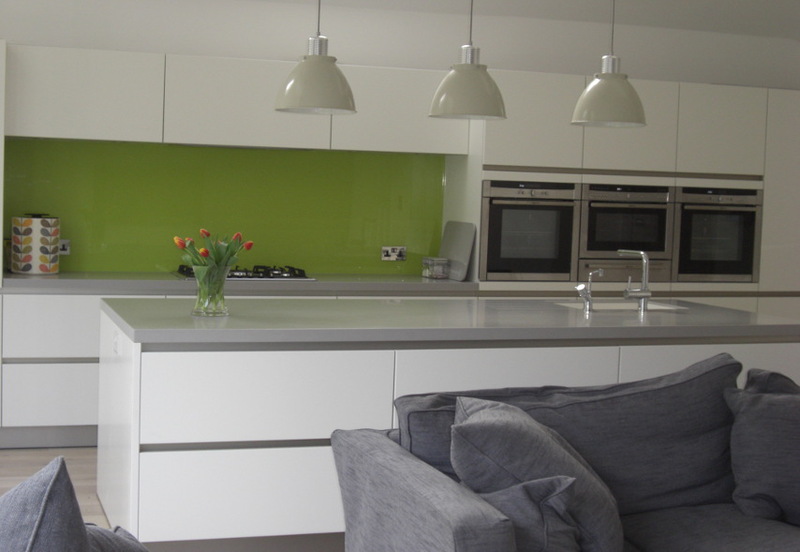 This creates a stunning visual look coupled with the perfect cooking height.